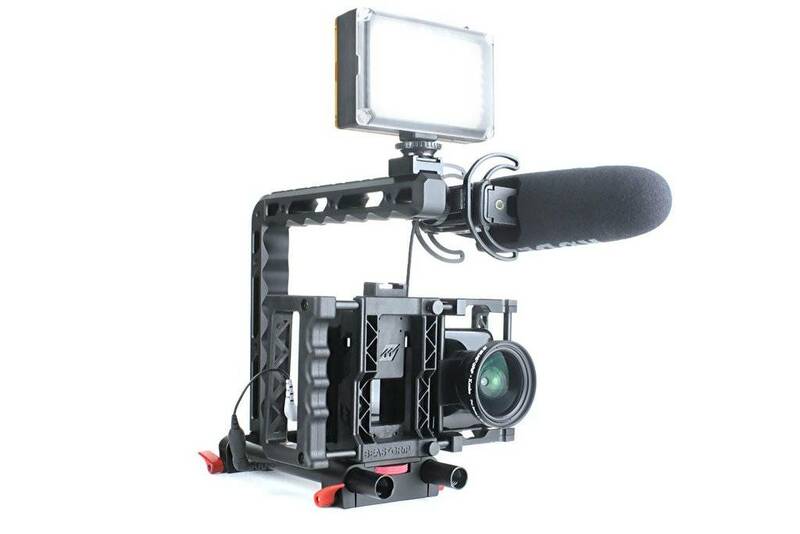 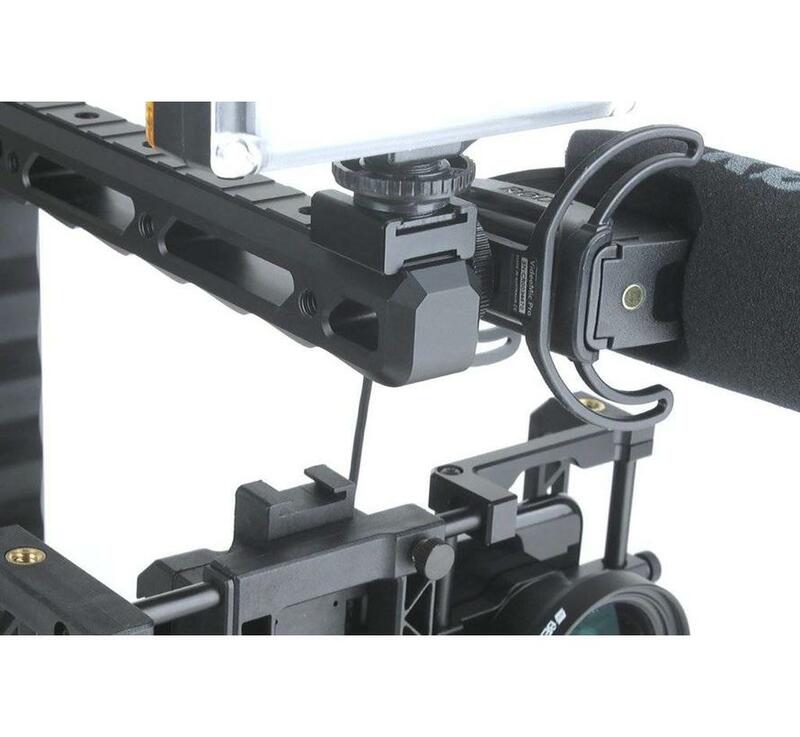 The BGS-300 is a modular camera rig that adds stability, grip and more mounting options. 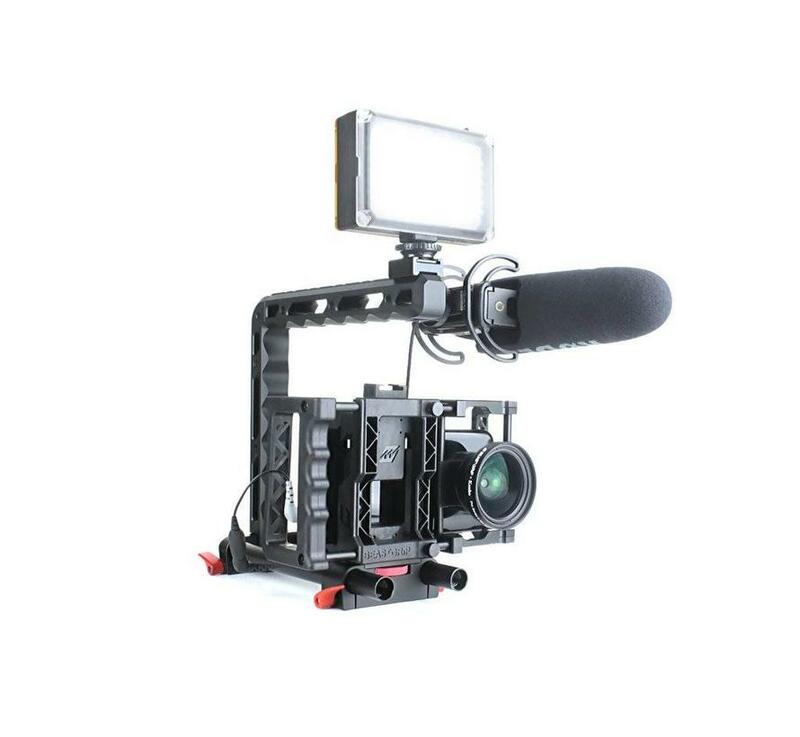 It's perfect for filmmakers, mobile journalists, live streamers or anyone that wants to build up their rig with more accessories. 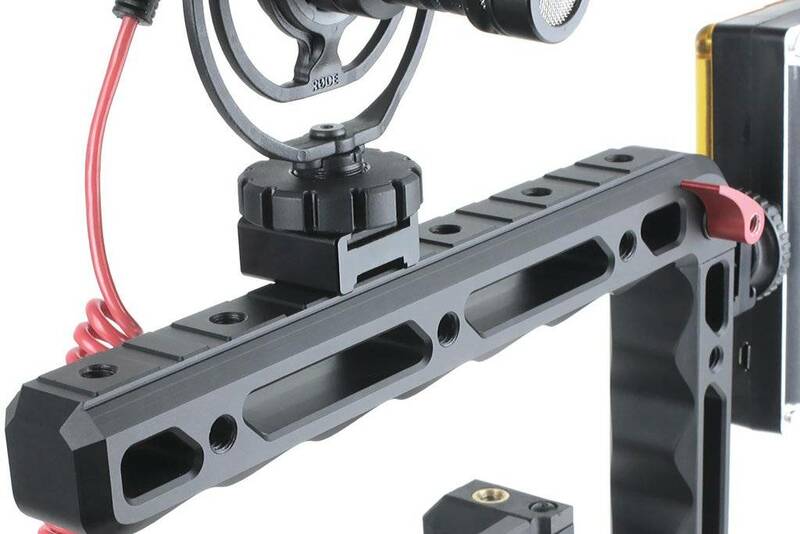 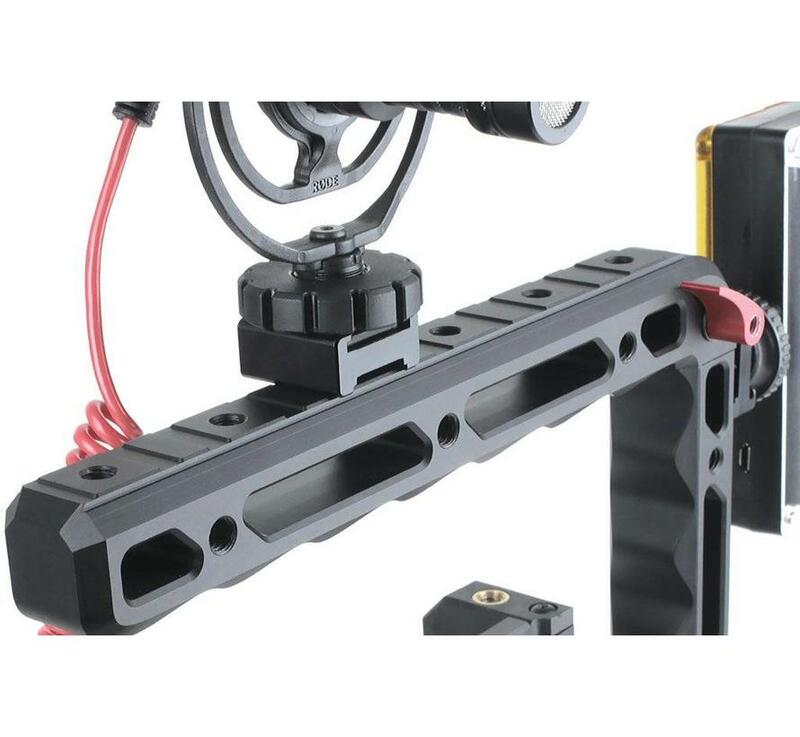 With a total of 19 1/4"-20 mounts on the vertical and horizontal grips, 15mm rails and a 1/4"-20 camera mount for your Beastgrip Pro or camera, you can attach a wide variety of accessories and mounts such as magic arms, cold shoe mounts (includes 1 cold shoe mount), microphones, LED lights, monitors, etc. 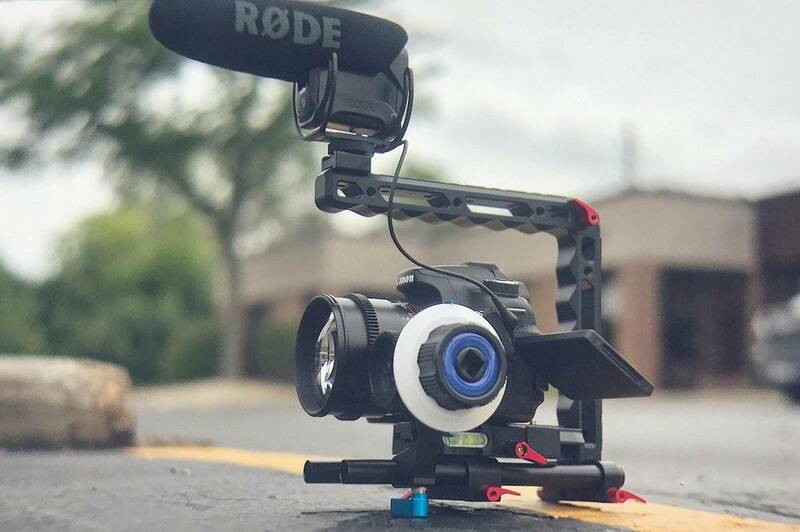 to create any rig that you can think of. 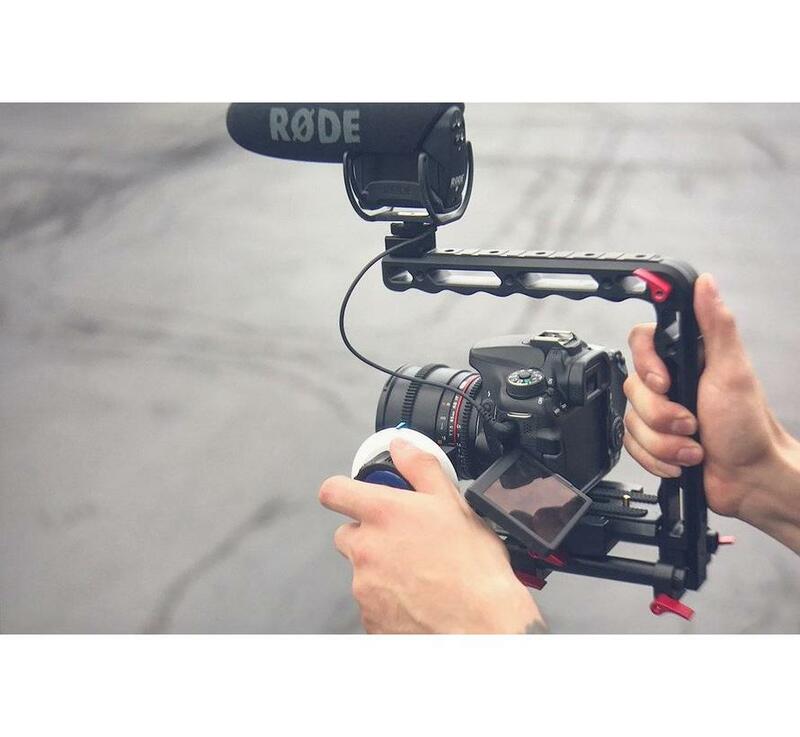 The only limit is your imagination. 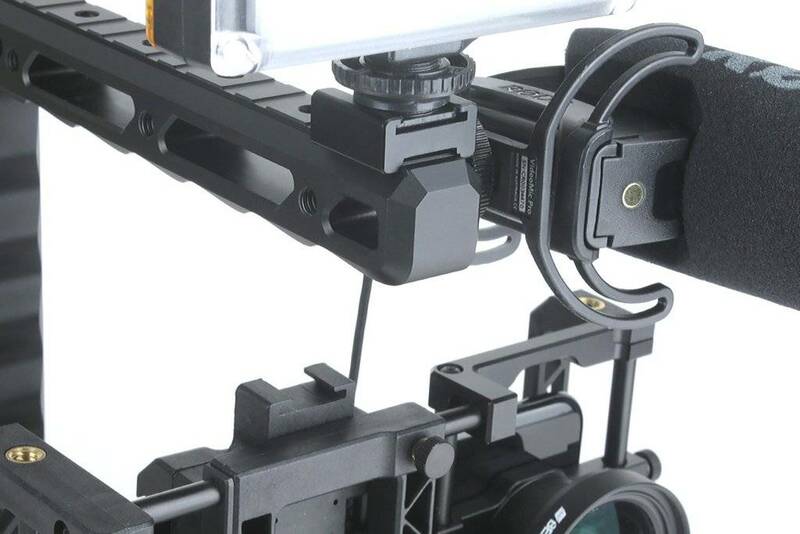 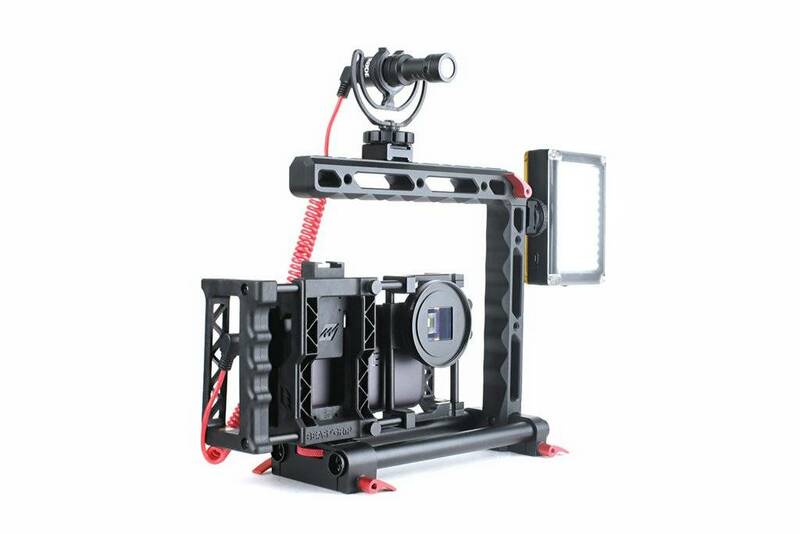 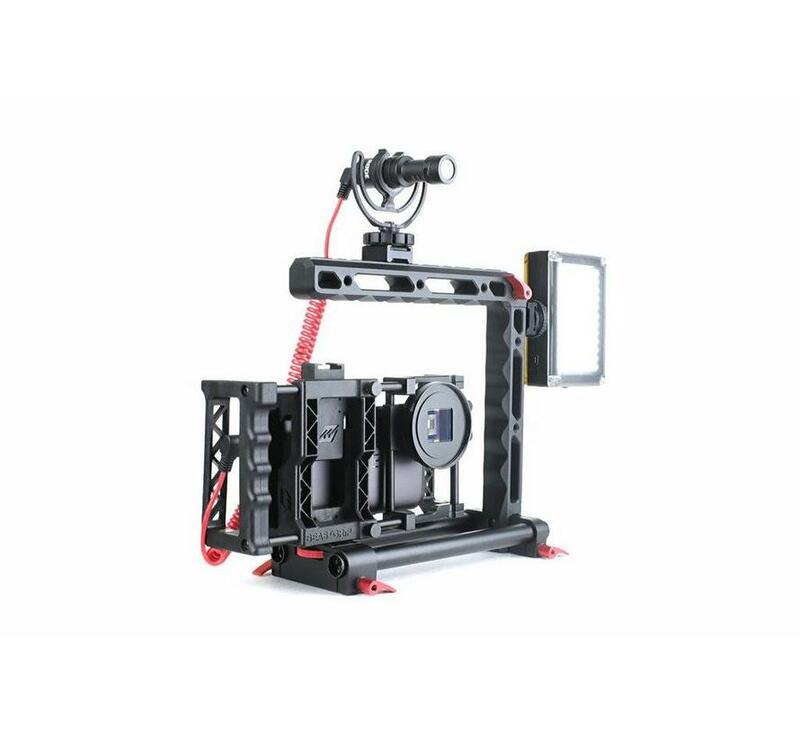 Mount your Beastgrip Pro or camera facing the front or side and/or adjust the rails any way that you like for even more creative possibilities. 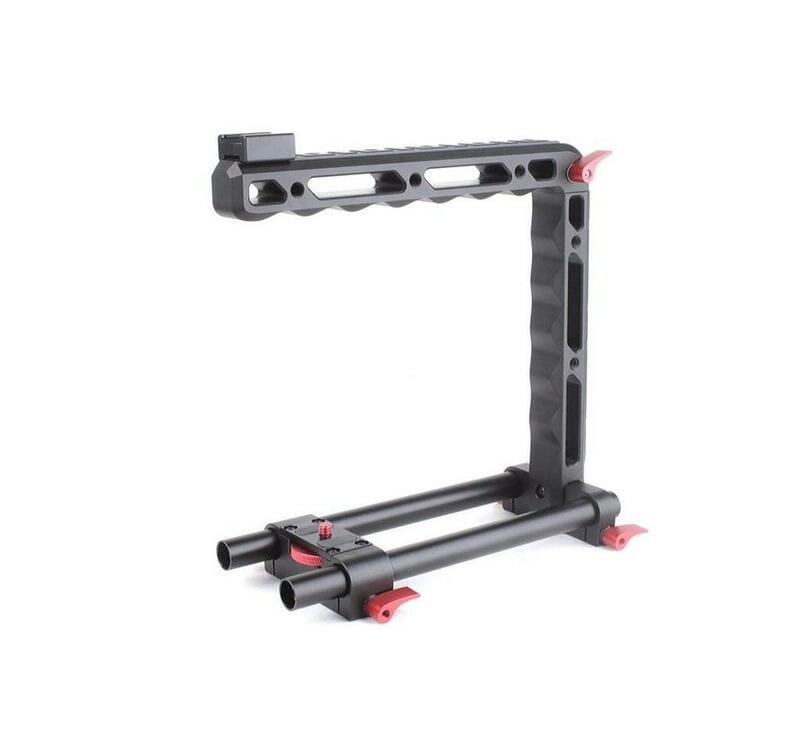 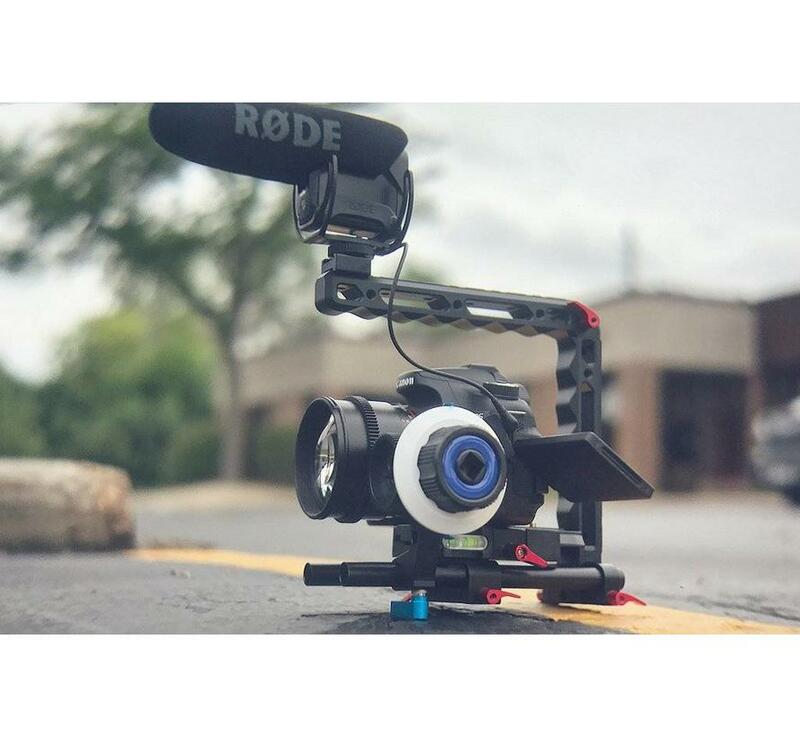 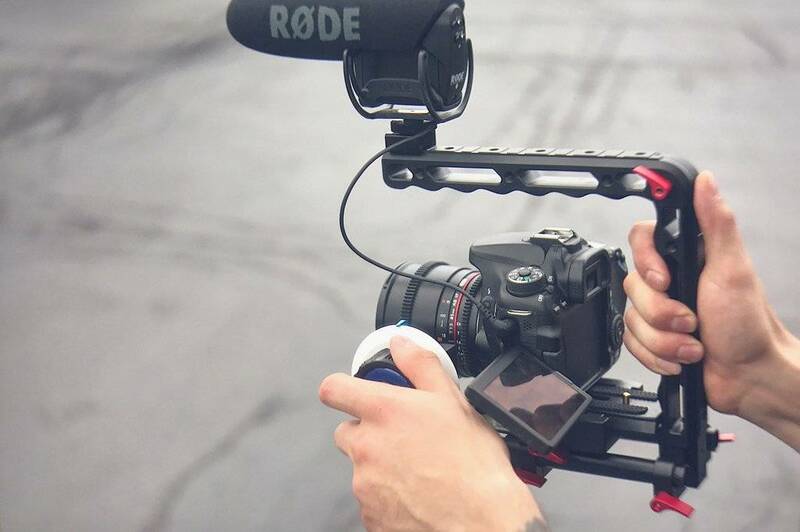 With 6" of clearance it's fully compatible with most cameras and rigs, such as the Beastgrip Pro, GoPro, and DSLR or Mirrorless cameras. 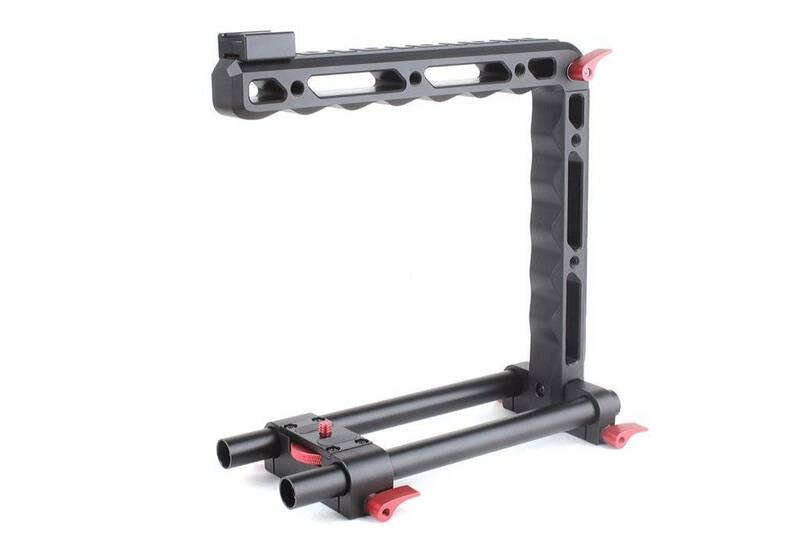 Weighing only 1.5 lbs., the tough machined anodized aluminum construction is built like a tank for reliability in any shooting scenario. 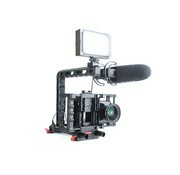 159,- 129,- Yes, I want this!